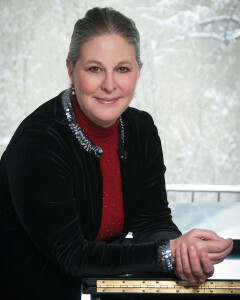 Lynn Godfriaux Maloy received her music degrees from the University of Oklahoma. During her undergraduate years, Lynn studied applied piano under Dr. Digby Bell and pedagogy under Dr. Jane Magrath, Dr. E.L. Lancaster, and Dr. Gayle Kowalchyk. She pursued post-graduate study with Dr. Keith Wallingford, then with Alvin Chow at the University of Colorado in Boulder. In 2004, she completed her Masters degree in Piano Performance under Dr. Edward Gates at OU. She performs regularly regionally and nationally. Her students have been accepted into university and conservatory music programs across the country and Canada. Former students have gone on to major in Piano Performance, Piano Pedagogy, Voice, and Music Education. Lynn is a nationally certified teacher of music through both the Music Teachers National Association as well as the Colorado State Music Teachers Association. She is a member of the Pikes Peak Music Teachers Association and The American Music Society, and a charter member of the Colorado Springs Alumni Chapter of Mu Phi Epsilon, an international professional music fraternity. In 2010, she published The Well-Tempered Poet: 24 Pictures and Poems, (view sample) which is available online through Amazon and major book sellers. Her master’s recital, Bach in a Box is available on CD. Lynn presented “Dyslexia and the Keyboard: When Students Can’t Read” at the 2011 Colorado State Music Teachers Convention in Denver, Colorado. She gave two presentations at the 2013 MTNA National Convention: “Dyslexia and the Keyboard: When Students Can’t Read”, and “Dyslexia: Recognizing the Invisible and How Teachers Can Help”. She is one of four national resources on the subject of teaching special needs students in the music field. In June of 2013, she presented “Memorization: Playing Without Music vs Playing by Rote” at the CSMTA Conference in Fort Collins, Colorado. She resides in Colorado Springs with her husband and two children, a horse, a couple of dogs, and a tank full of fish.